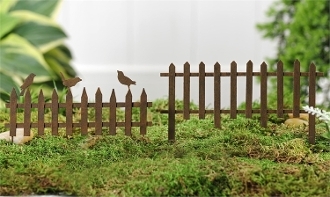 Set/2 Iron Fence for Miniature Fairy Gardens - EXCLUSIVE. Laser Cut Iron Miniature Fence Design Garden Pick. 2 Assorted Designs..